Your tooth may be sensitive to biting pressure and may even appear to feel loose. Due to the removal of calculus, you may feel the gingiva. There can be some sensitivity after tooth preparation till the final crown is not delivered. A Filling is material that fills the opening that’s left after a decayed portion of a tooth has been removed. Avoid strenuous physical activity and smoking for the first 48-72 hours following the procedure. Dental laser procedures result in little or no discomfort during / after surgery. It is very important to get a good diagnosis so that a good treatment plan can be made. 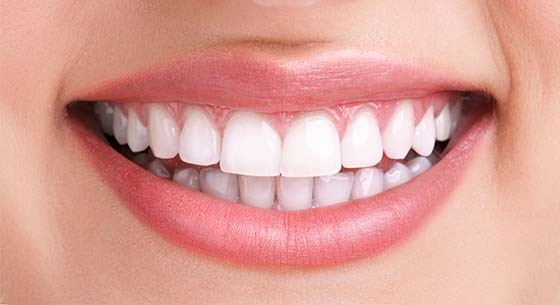 The most important parameter is our experience in different dental fields. We have full mouth X-Ray facility (OPG), making diagnosis flawless. We also have RVG facility. We also use high end electronic pulp testers along with other diagnostic aids. When it comes to diagnosis and treatment plan, we are far ahead. The first 48 hours are crucial to maximize the whitening results from the bleaching procedure. Some patients experience sensitivity after bleaching. This sensitivity normally lasts 48 – 72 hours however it is not unusual for it to linger for a week or so. We recommend over the counter pain medications such as Ibuprofen, Advil or Tylenol to counteract any discomfort you may be having. Avoid acidic fruit juices like orange juice until the sensitivity has dissipated. Imax Dental Clinic is the secret behind my captivating smile. A few days ago I started to notice my teeth were losing their natural sparkle. I was ashamed of it to the point; I stopped smiling in front of my friends. That is when I heard of Imax Dental Clinic and tried their teeth whitening treatment. Went there for my orthodontal treatment. Had a great journey. Dr. Shamsur Rahman is very supportive. Moreover he is a great counseller. He counselled me really well regarding my treatment and I must say. I spent my money at a proper place. I must advice everyone to please visit the clinic once without having a single doubt in your mind. If you are suffering from any dental problem. They have sterilized instruments with them. Patients comfort zone is given first priority here. Moreover the environment is really pleasing. "I am really satisfied with I Max Dental Clinic services." I'm very happy that i chose this centre for my treatment procedure. I had a positive experience and a good result. The treatment i received was very professional and caring. I have heard the root canal is a very painful procedure but i did not experience any pain during the whole process. I would happily suggest I Max Dental to any of my friends & family. "KEEP IT UP IMAX DENTAL TEAM"
IMax Dental is a unit of family Dental Health Care, A rapidly growing, dedicated chain of multi speciality dental clinic in Delhi. It is committed to change the way people feel about Dentistry. Copyright © 2018 IMax Dental. All Rights Reserved.